I’ve continued a long-distance email relationship with Gianfranco Continenza since our years together at GIT in LA. Back then, he was a shy, quiet student, who was taking in all he could about guitar playing. 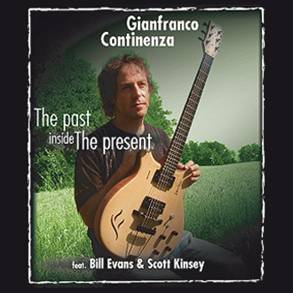 As the years passed Gianfranco has blossomed into a true artist, who has a talent for not only virtuoso guitar playing but a talent for composing interesting and wonderful tunes. His CDs have demonstrated a path of growth and exploration into all areas of Jazz and Fusion music. For this CD, our long distance relationship evolved into a musical venture as Gianfranco invited me play on one of the tunes. “Dinner on Melrose Avenue” is a wonderful (and difficult!) composition Gianfranco wrote as a memento of a great dinner we had together at an Italian restaurant on Melrose Ave in Los Angeles. Modern technology allowed us to record our acoustic guitars while being 6000 miles apart. The result came out great! As far as the rest of the tracks on the CD are outstanding. Gianfranco followed the two must important rules for “Dusting The Time”: have fine compositions and use great players. 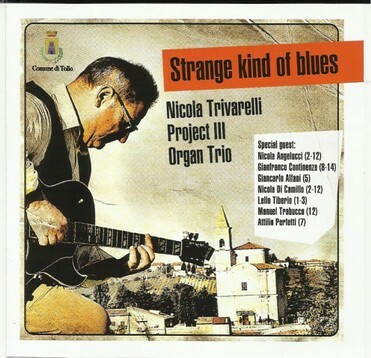 Gianfranco’s compositions are filled with surprises and interesting directions, and with the addition of some of American, Japanese and European finest players the performances are superb. Walter Martino supplied strong and creative drumming on the demanding charts. 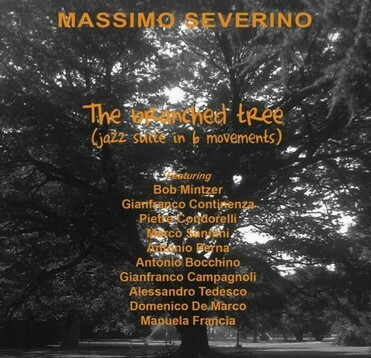 Bass players Dino D’Autorio, Tetsuo Sakurai, Adriano Brunelli, Michael Manring and Lorenzo Feliciati all sound like guys I would love to be playing with. John Beasley really comes through as a talented keyboard player, including his fine acoustic performance on “Things Could Change”. 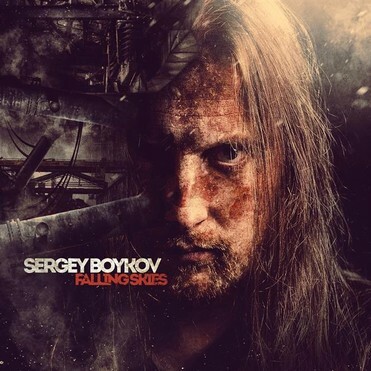 Several other players augmented the scope of the music with equally fine playing, which all adds up to an amazing collection of 13 powerful tracks. Tunes at this high level require multiple listenings to fully appreciate all the musical details. I’m really proud of that quite shy kid from Italy, who is now showing the teacher a thing or two about modern guitar playing and composing. 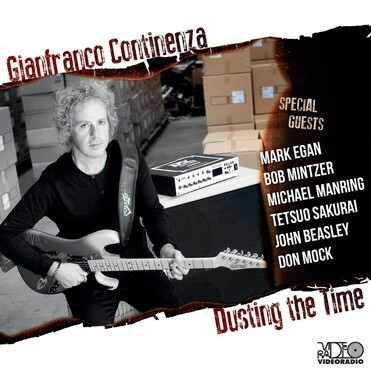 Italian guitarist Gianfranco Continenza has justifiably gained acclaim as a Jazz/Fusion guitar wizard, racking up credits with the likes of Billy Cobham, Joe Diorio, Jimmy Bruno, Phil Upchurch, Vic Juris, Don Mock, Bob Mintzer, Bill Evans, Dean Brown, John Beasley, Mark Egan, John Stowell, Carl Verheyen, etc. 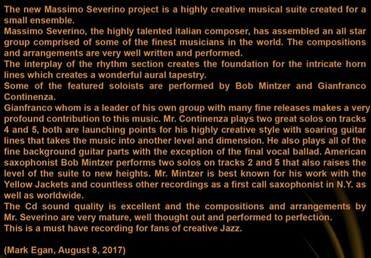 He performed and recorded with many world famous artists like Bill Evans, Joe Diorio, Mark Egan, Don Mock, Bob Mintzer, John Beasley, Michael Manring, Tetsuo Sakurai, Jeff Richman, Scott Kinsey, Jamie Findlay, Barrett Tagliarino, Richard Smith, John Stowell, Marco Minnemann, Ray Riendeau and many others in the world music scene. 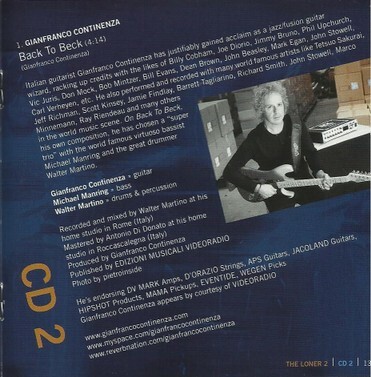 On "Back To Beck", his own composition, Continenza has chosen a "super trio" with the world famous virtuoso bassist Michael Manring and the great drummer Walter Martino. He’s endorsing DV MARK Amps, D’ORAZIO Strings, APS Guitars, JACOLAND Guitars, HIPSHOT Products, MAMA Pickups, EVENTIDE, WEGEN Picks. 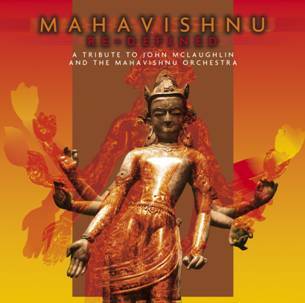 Here we are - with Part 2 - of our tribute to John McLaughlin & the Mahavishnu Orchestra! 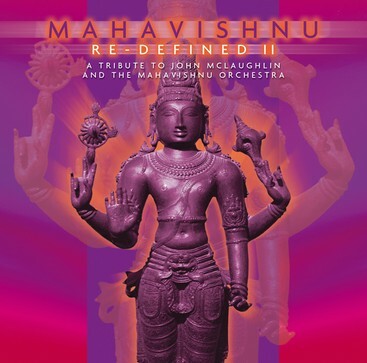 "MAHAVISHNU Re-Defined 2" is a another double CD compilation featuring tracks by various modern artists either creating their own dynamic arrangements of John McLaughlin and the Mahavishnu Orchestra - compositions or producing original sonic paintings based on Mahavishnu consciousness. Featured are: KAI BRÜCKNER, MADS TOLLING, CHRISTOPHER SCHREINER (a.k.a. 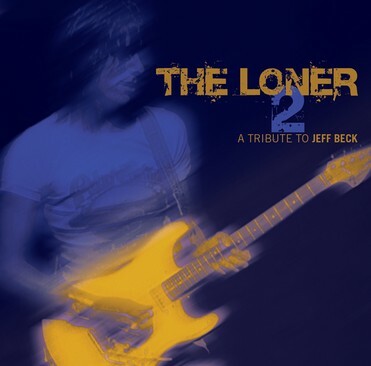 The Guy), SURINDER SANDHU featuring STEVE VAI, NAT JANOFF, DON MOCK, JOHN STOWELL, das MAHAVISHNU PROJECT, CHRIS MASSEY mit DAVID TORN und Dave CasT, ALLEN HINDS, BRUCE ARNOLD, MYCHAEL POLLARD, ALI NEANDER, JEFF GAUTHIER and his GOATETTE Ensemble, BON LOZAGA (Ex-Gong, Gongzilla), GEORGE COLLIGAN, STEVE TOPPING, BILL HART, MARK WINGFIELD, REZ ABASSI, CLAUDE PAULY (with KAI ECKHARDT), ASAF SIRKIS, GIANFRANCO CONTINENZA w/ MICHAEL MANRING, THE TRIO OF STRIDENCE und JAMIE FINDLAY. With the rediscovery of jazz and fusion roots by a new generation, the Mahavishnu Orchestra stands out as one of the most influential artists of the genre. This is a brand new and extraordinary compilation featuring an incredibly wide assemblage of musicians, most of whom, although likely unknown to listeners, have not only been influenced by McLaughlin and his Mahavishnu Orchestra, but are going on to create spectacular and unique music that ventures far beyond that of their mentors. Feat. Nguyên Lê, Dennis Chambers, Jim Beard, Jon Herington, Radio String Quartet, Mitch Forman, Billy Cobham, Gary Husband, John Patitucci, Pete McCann, Ron Thaler, Gregg Bendian, John Stowell, Gianfranco Continenza, Mark Egan, Trinity, Mahavishnu Project, Steve Hunt & Lucas Pickford, Pascal Bournet, and many more.